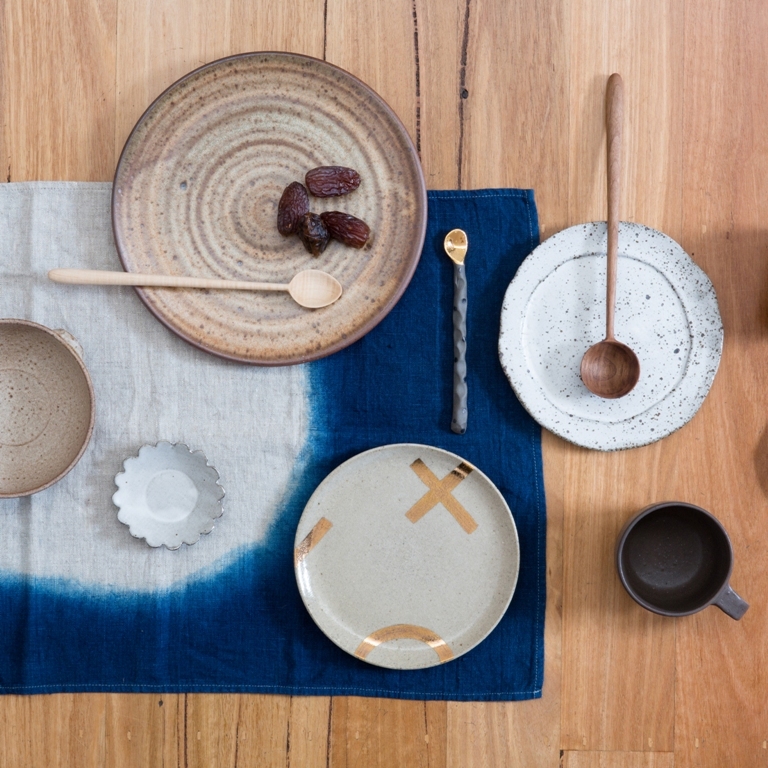 Modern objects of the highest quality, handmade by Australian craftspeople for use in the home. We are pleased to announce our first event for 2015 – The Domestic Frontier pop up shop will be on again this August in a great Collingwood venue. Exact dates and location will be announced shorlty but for now we are happy to share with you our full list of talented participants. There are some familiar faces and a few first time participants, all providing unique, locally made wares for your home. Bind and Fold – Vic Pemberton handcrafts and hand dyes gorgeous textiles in her studio in Preston, often employing shibori dying techniques and using naturally occuring dyes. Loose Leaf – More Collingwood locals, Charlie and Wona have made quite a name for themselves with their skills with plants, floristry and wonderful woven baskets and garden features. Sophie Moran – Sophie’s studio is also nestled in a warehouse in Collingwood where she employs the potters wheel to create modern functional vessels in stoneware and porcelain. Beautiful tumblers available at @domesticfrontier today by @sophiejanemoran open till 6pm!! Domestic bliss flax and cotton ricrac teatowels made by @housemadestudio perfect !